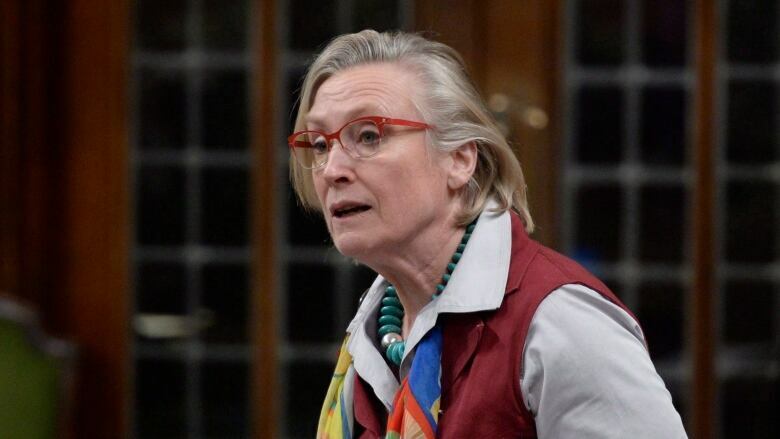 Crown-Indigenous Relations Minister Carolyn Bennett is asking the head of the organization representing Canada's Catholic bishops to meet with residential school survivors to discuss Pope Francis's decision not to issue an apology for the institutions. Bennett's office sent the letter Thursday to Saint-Jean Longueuil Bishop Lionel Gendron, president of the Canadian Conference of Catholic Bishops (CCCB), as the House of Commons began debating a motion to ask the Pope to visit Canada and formally apologize for residential schools. Bennett's letter requested a personal meeting with Gendron at his "earliest opportunity" so they could discuss a gathering between the conference and survivors to hear their views on the importance of a papal apology. "I would be happy to facilitate a meeting ... to personally hear what an apology would mean to them and how it is crucial to reconciliation in Canada," wrote Bennett. The Pope's decision to not apologize, as called for by the Truth and Reconciliation Commission (TRC), had created "deep hurt" for residential school survivors, wrote Bennett. The CCCB did not respond to requests for comment. The CCCB announced in a letter released March 27 that Pope Francis decided he could not personally respond to the TRC's call for an apology. The TRC was created by the Indian Residential Schools Settlement Agreement and issued 94 calls to action toward reconciliation, including the request for a formal papal apology. A lack of consensus between bishops on the need for the apology, along with concerns over costs associated with a papal visit and the Vatican's reticence at responding directly to requests from state governments — Prime Minister Justin Trudeau personally asked Pope Francis for the apology — played into Pope Francis's decision, according to the Archbishop of Regina. The Pope's decision led to the NDP-authored motion debated in the House Thursday morning. A vote on the motion is expected as early as next Tuesday. The motion is expected to pass as the Liberals and the Conservatives led their side of the debate with speakers indicating support for the motion. The Conservatives are letting their MPs vote their conscience on the motion. 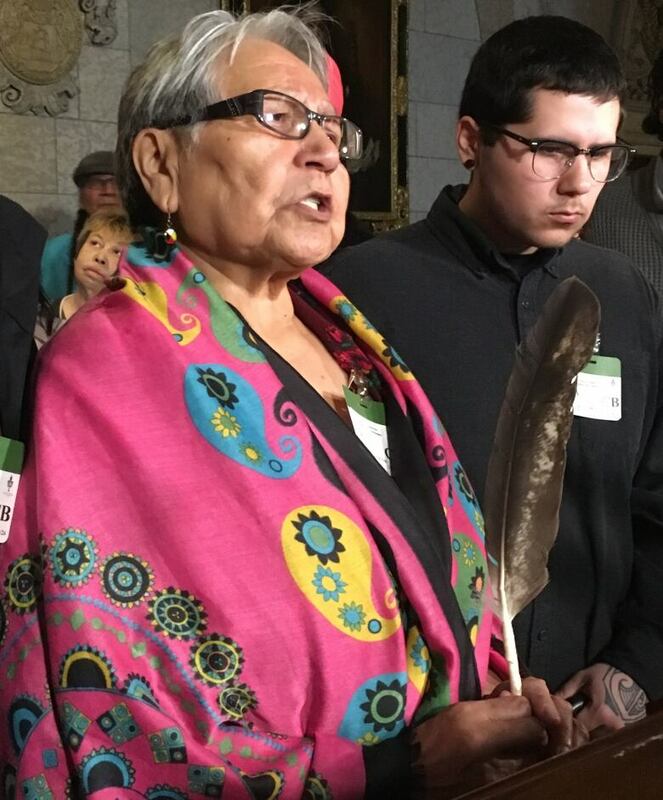 "I'm here begging the Holy Father, the Pope to walk with us, to walk with us into healing," said St. Anne's residential school survivor Angela Shisheesh, before the debate. St. Anne's was a Catholic-run school in Fort Albany First Nation along Ontario's James Bay coast. The school was the subject of an OPP investigation in the 1990s and used an electric chair on students for punishment and sport. With Shisheesh and several other survivors from St. Anne's packed in the gallery overlooking the Commons floor, MPs from all three major parties said the apology was needed. "I am very confident that Pope Francis, who has spoken up on justice around the world, will hear the call of the Parliament of Canada and the cry of Indigenous people to do the right thing now," said Charlie Angus, one of the two NDP MPs who tabled the motion. The motion also calls on the Catholic Church to turn over all documentation requested by survivors and "resume best efforts" to finish raising funds agreed to as part of the residential schools settlement agreement. Under the agreement, the Catholic Church was required to make a cash contribution of $29 million, provide in-kind services for survivors worth $25 million and raise $25 million for healing and reconciliation programs. The Catholic Church raised only $3.7 million. Following a 2015 court ruling, Ottawa agreed to release the Catholic Church of its legal liability five days before the current Liberal government took office. John Nater, a Conservative MP from Ontario, said during the debate the church should still pay up. "While they may not have a legal obligation, no question they have a moral obligation," said Nater. During his speech, Angus discussed the high level links between the Catholic hierarchy, the running of residential schools and abuses committed at the institutions. Angus said Jules Leguerrier, the Bishop of Moosonee from 1947 to 1992, who died in 1995, was one of "the most prolific predators" at St. Anne's. Angus said Laguerrier's person of interest report, used in residential school compensation claim hearings, ran 3,191 pages long. During the debate Angus asked Bennett to meet with St. Anne's survivors who are still in court battling Ottawa over the disclosure of discovery transcripts from a settled 2003 civil case in Cochrane, Ont. Ottawa has successfully argued the records are covered by settlement privilege while the survivors say the records should be used as evidence in compensation claims. Bennett agreed and met with survivors in a fifth floor centre block boardroom on Parliament Hill on Thursday afternoon. Bennett said she would consider engaging with the survivors and a third party to settle the outstanding legal issues related to St. Anne's outside the courtroom, said Angus. "I feel positive that the government is on our side, but of course we will have to wait and see," said St. Anne's survivor Evelyn Korkmaz, who was in the meeting. "There have been promises made before and they fell through. One step at a time, I guess."